Jan. 21, 2010, will go down as a dark day in the history of U.S. democracy, and its decline. On that day the U.S. Supreme Court ruled that the government may not ban corporations from political spending on elections—a decision that profoundly affects government policy, both domestic and international. 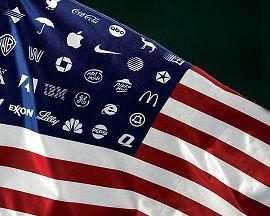 The decision heralds even further corporate takeover of the U.S. political system. The court was split, 5-4, with the four reactionary judges (misleadingly called “conservative”) joined by Justice Anthony M. Kennedy. Chief Justice John G. Roberts Jr. selected a case that could easily have been settled on narrow grounds and maneuvered the court into using it to push through a far-reaching decision that overturns a century of precedents restricting corporate contributions to federal campaigns. Now corporate managers can in effect buy elections directly, bypassing more complex indirect means. It is well-known that corporate contributions, sometimes packaged in complex ways, can tip the balance in elections, hence driving policy. The court has just handed much more power to the small sector of the population that dominates the economy. Political economist Thomas Ferguson’s “investment theory of politics” is a very successful predictor of government policy over a long period. The theory interprets elections as occasions on which segments of private sector power coalesce to invest to control the state. The Jan. 21 decision only reinforces the means to undermine functioning democracy. The background is enlightening. In his dissent, Justice John Paul Stevens acknowledged that “we have long since held that corporations are covered by the First Amendment”—the constitutional guarantee of free speech, which would include support for political candidates. In the early 20th century, legal theorists and courts implemented the court’s 1886 decision that corporations—these “collectivist legal entities”—have the same rights as persons of flesh and blood. Morton Horwitz writes in his standard legal history that the concept of corporate personhood evolved alongside the shift of power from shareholders to managers, and finally to the doctrine that “the powers of the board of directors “are identical with the powers of the corporation.” In later years, corporate rights were expanded far beyond those of persons, notably by the mislabeled “free trade agreements.” Under these agreements, for example, if General Motors establishes a plant in Mexico, it can demand to be treated just like a Mexican business (“national treatment”)—quite unlike a Mexican of flesh and blood who might seek “national treatment” in New York, or even minimal human rights. In reality, these “small groups” increasingly have become government’s masters. The Roberts court gives them even greater scope. The Jan. 21 decision came three days after another victory for wealth and power: the election of Republican candidate Scott Brown to replace the late Sen. Edward M. Kennedy, the “liberal lion” of Massachusetts. Brown’s election was depicted as a “populist upsurge” against the liberal elitists who run the government. The voting data reveal a rather different story. So the results were indeed an uprising against President Obama’s policies: For the wealthy, he was not doing enough to enrich them further, while for the poorer sectors, he was doing too much to achieve that end. The popular anger is quite understandable, given that the banks are thriving, thanks to bailouts, while unemployment has risen to 10 percent. In manufacturing, one in six is out of work—unemployment at the level of the Great Depression. With the increasing financialization of the economy and the hollowing out of productive industry, prospects are bleak for recovering the kinds of jobs that were lost. Brown presented himself as the 41st vote against healthcare—that is, the vote that could undermine majority rule in the U.S. Senate. It is true that Obama’s healthcare program was a factor in the Massachusetts election. The headlines are correct when they report that the public is turning against the program. The poll figures explain why: The bill does not go far enough. The Wall St. Journal/NBC poll found that a majority of voters disapprove of the handling of healthcare both by the Republicans and by Obama. These figures align with recent nationwide polls. The public option was favored by 56 percent of those polled, and the Medicare buy-in at age 55 by 64 percent; both programs were abandoned. Eighty-five percent believe that the government should have the right to negotiate drug prices, as in other countries; Obama guaranteed Big Pharma that he would not pursue that option. Large majorities favor cost-cutting, which makes good sense: U.S. per capita costs for healthcare are about twice those of other industrial countries, and health outcomes are at the low end. But cost-cutting cannot be seriously undertaken when largesse is showered on the drug companies, and healthcare is in the hands of virtually unregulated private insurers—a costly system peculiar to the U.S. The Jan. 21 decision raises significant new barriers to overcoming the serious crisis of healthcare, or to addressing such critical issues as the looming environmental and energy crises. The gap between public opinion and public policy looms larger. And the damage to American democracy can hardly be overestimated.